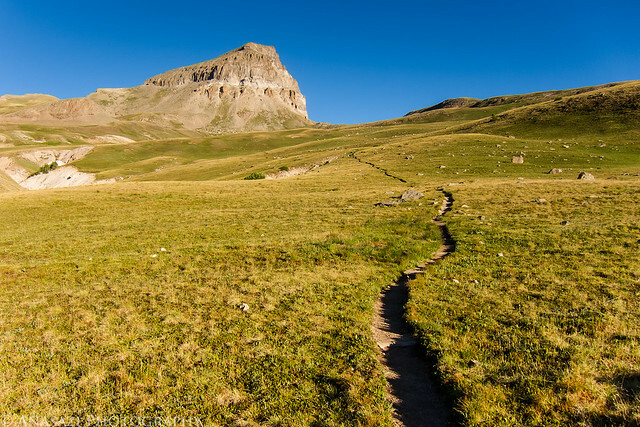 At 14,309 feet, Uncompahgre Peak is the highest point in the San Juan Mountains and the 6th highest in Colorado. It was also our destination this morning. After work on Friday, Jackson and I loaded up my Jeep and headed south to the San Juan’s. We made a quick stop for dinner in Montrose and then we were soon passing through Ouray and turning off the highway on the rough road following the Uncompahgre River and Mineral Creek. Next we found ourselves driving at just under 13,000 feet as we crossed Engineer Pass and dropped back down along Henson Creek. 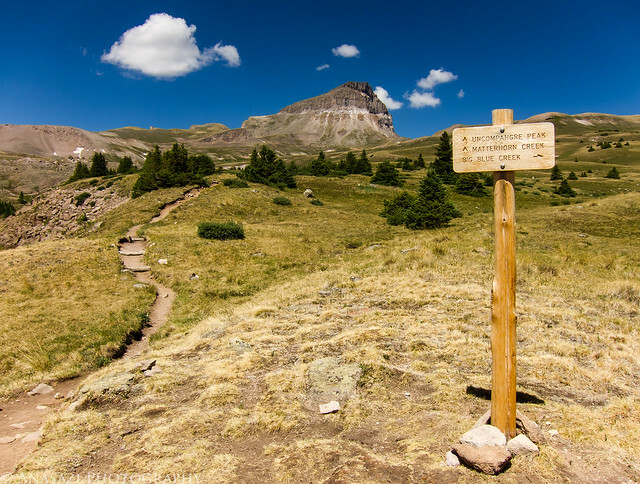 When we reached the rough road that follows Nellie Creek we turned onto it and climbed a few thousand feet again until we had reached the boundary for the Uncompahgre Wilderness area and the trailhead to Uncompahgre Peak. We quickly setup camp in what was left of the twilight and got to bed early. Bright and early on Saturday morning we were up and having a quick breakfast before starting the hike. 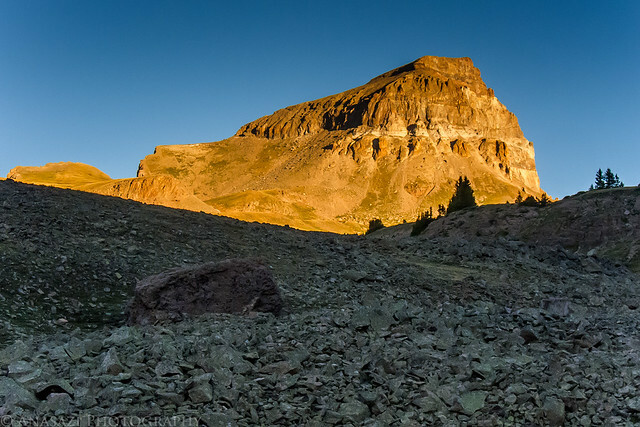 As we entered the wilderness our surroundings were still in the shadows, but occasionally we would catch a glimpse of Uncompahgre Peak lit up with a golden early morning light. Next time I will have to get an earlier start so I can take a few photos of that (and also bring along my DSLR). Uncompahgre Peak lit up with golden light on a cloudless morning. Easy trail through the alpine tundra. This entry was posted on Tuesday, July 3rd, 2012 at 6:02 pmand is filed under . You can follow any responses to this entry through the RSS 2.0 feed. Both comments and pings are currently closed.